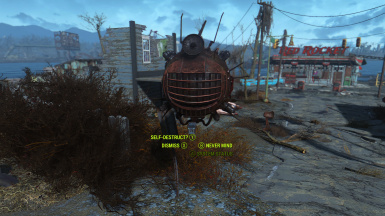 Remember the companion ED-E from Fallout New Vegas? 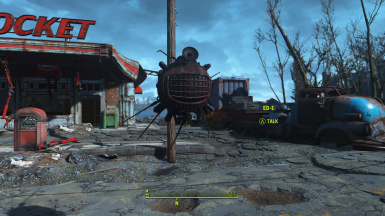 Now he's in the Commonwealth! Issue not allowing ED-E to be sent to a settlement is fixed. Issue not allowing access to ED-E's inventory is fixed. ED-E now shuts down when he takes too much damage. Heal him with a Robot Repair Kit and he will go back to his normal functions. ED-E now works like a vanilla companion. New model and textures for ED-E.
ED-E's perk from FNV has been added with a custom perk animation. Fixed bug where the "Recruit Follower" option doesn't appear. Fixed bug causing ED-E to turn hostile to the player if shot at. 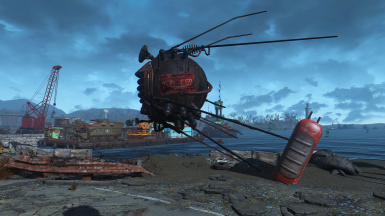 Added optional file for ED-E to play Diamond City radio. Remember ED-E from Fallout: New Vegas? 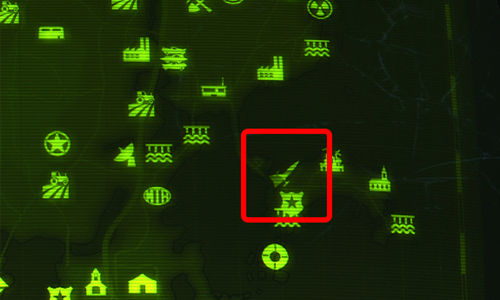 He's now in the Commonwealth. ED-E works just like a vanilla companion. 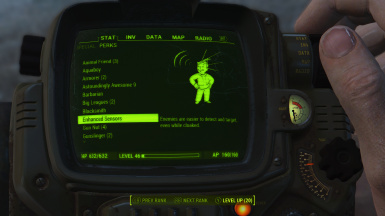 He even has his own companion perk! Automatron is required for this mod! So, where can I find ED-E? ED-E can be found wandering over in Nahant. There's a note on him with a brief explanation as to how he got there. ED-E got hurt in combat and isn't moving! ED-E can't die! When he is taking too much damage in combat he shuts down. Heal him using a robot repair kit and he should be back moving around in no time! Suggestions for this mod are always welcome in the comments! The ED-E model was done by Stefan Engdahl, check him out!